SVRI Forum is where researchers, policy-makers, funders and practitioners come together to design solutions for ending violence against women and girls. 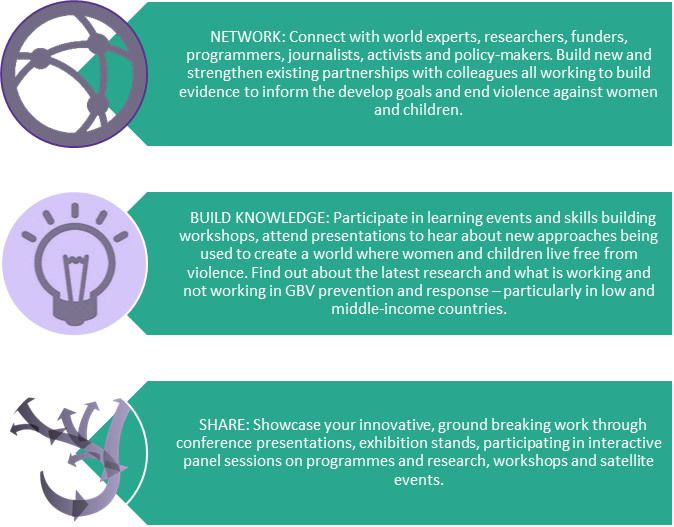 By participating in SVRI Forum you will build your knowledge, create collaborations, expand your network, and disseminate knowledge to key decision-makers in the field of violence against women. Join us!